This blog is where I will be posting misc stuff that I have made. Everything will be FREE to use but for personal use only. Please direct people to my blog so they can download! Time again to hop on another blog train!!! Its called Bouncing Beach Balls. Be sure to visit all the train stops and gather some awesome kits! Heres the rest of the train stops! Hope everyone is having a great week so far!! Mine has been pretty busy, I am on a Relay For Life Team and we are getting ready for a bingo fundraiser this Friday so it has been crazy the last few weeks! Not much time to create stuff thats for sure lol. 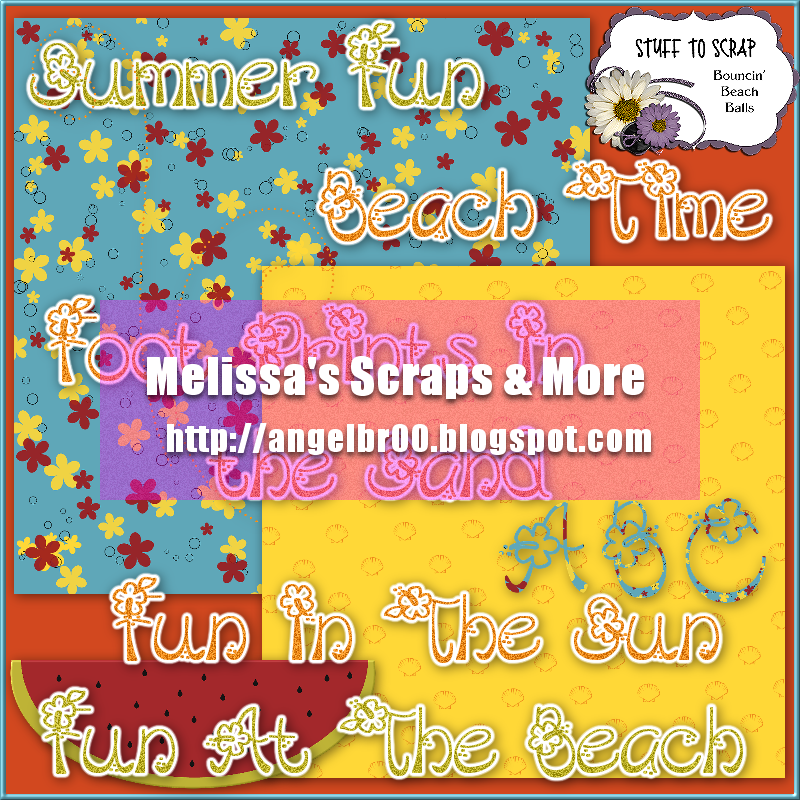 So I have decided to try something new and make scrapbooking templates. So here is my first one! Please leave me a note if you like it and want to see more templates for scrapbooking. This month I am participating in the March of Animlas blog train by Stuff To Scrap! Hi! My name is Melissa. I am 29.. I have 2 boys ages 10 and 4. I am new to making scraps, templates, and more! I haven't been using PSP very long so I am still learning. I am starting to learn to sew and do other crafts so I will be posting some of my creations! I recently finished my associates degree at University of Phoenix! I also work part time. Everything on my blog is free but for personal use only. Please direct people to my blog so they can download stuff themselves. Please see the TOU (included in zip files) before using my stuff. Leave me a little note here!